Archipelago Pomegranate 17 oz. 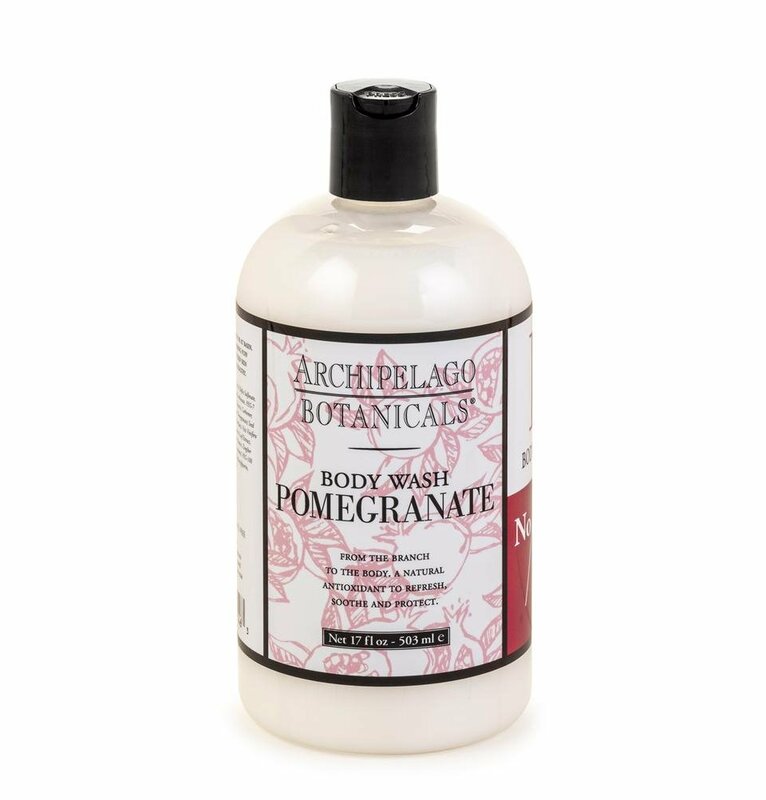 Body Wash is a gentle foaming body wash blended with natural pomegranate, cranberry, lemon and orange extracts plus Phase II Enzyme boosters to cleanse and detoxify. Pomegranates natural antioxidants help combat aging effect of free radicals. 17 fl. oz. flip cap bottle.